Tension prevailed high in Kalinga Nagar steel hub here after CISF personnel deployed at Tata Steel plant here allegedly beat up students and two teachers of a residential high school on Sunday. 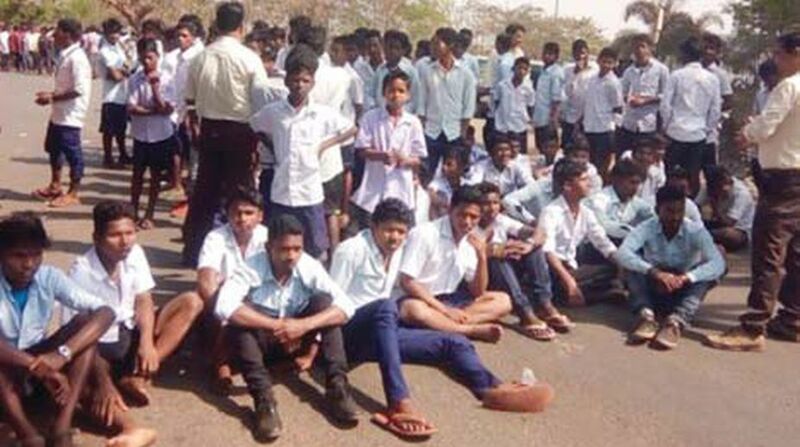 Agitated over the incident, the school students along with their parents and guardians have staged a road blockade near the main gate of Tata Steels by burning tyres on Monday. The students are protesting against the alleged attack on them by the CISF jawans and demanding stern and exemplary action against the attackers. 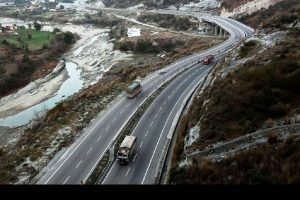 Vehicular traffic between Kalinga Nagar and Chandikhole on National Highway no-53 has been completely disrupted since 8 am on Monday. The allegation is that the jawans barged in to the school last night and thrashed inmates. The injured students and teachers were later admitted to the local hospital at Danagadi. “The students and teachers of Gobarghati Ashram school have blocked the road alleging attack on them by CISF jawans. We are investigating in to the matter and holding discussions,” said Raj Kishore Dora, Additional Superintendent of Police of Kalinga Nagar. Though the reason behind the alleged act of the central security force was yet to be ascertained till last reports came in, it is alleged that the move of the security personnel came over pelting of stones by the students at the camps of the CISF jawans. In a press release, Tata Steel said the CISF has already directed an inquiry in to the alleged incident . Anybody found guilty will be dealt with firmly. The company also stated that several cases of stone pelting on security personnel have been observed near Government’ High School, Gobarghati located close to the boundary wall of Tata Steel Kalinganagar plant. On 15 February ,2018, a student of the School was caught red-handed in the act of stone pelting and the local police was informed about it. As per the statement of this student, many students, in association with outsiders resort to such nefarious activities in pursuit of their malafide intentions and at times indulge in stealing management property.